I love a bargain and part of the fun for me is definitely in finding a good deal. I guess I like 'the thrill of the chase' so to speak! About a year ago I became a tiny bit obsessed with hunting down bargain fashion accessories off Ebay. You know, those gorgeous little fashion jewellery pieces that go on for a $0.01 start price to hook you in and then usually sell for a very reasonable $2 - 3 with free shipping!? Of course, there are a couple of obvious downsides to this way of shopping; one is that a lot of time can be wasted whilst searching through the thousands of items in each category looking for the best bargains and another is that as the items are usually shipped from Asia, they can take an age to arrive! So, eventually I gave up on this bargain accessories shopping spree on Ebay as searching through the thousands and thousands of items was becoming quite a drain on my time and a lot of the items I bought were taking well over 2 months to arrive and some were not even ever arriving at all! Just after Christmas, I was contacted by a company called DressLily who are a leading international online fashion and clothing store based in Asia. They asked if I would be interested in reviewing them so I took a look at their website and was actually pretty delighted. It was like viewing all of my favorite Ebay categories and items in a brand new, purpose built web store! They offer a wide range of affordable and fashionable clothing and accessories, ship worldwide and you can view prices in lots of different currencies including GBP. But my favorite part of their website is definitely the 'free shipping mall' where every item comes with free shipping included in the price. They sell all of the typical good stuff us ladies like, including dresses, shoes, handbags, watches, lingerie and a vast array of other accessories. I was given a budget of up to $25 (which is about £15.25) to pick some items from their website to try. Now, being Miss Beauty Saver, I took this as a bit of a challenge as I always like to get the most I can for my money! So, now I'm going to reveal how much stuff I picked up for the price and what I think of it all! I think you might agree that I got quite a lot of 'bang for buck' here! I really like all of the items I chose and the quality seems to be comparable to the kinds of products you can pick up in high street shops in the UK. Often, goods sold in British fashion stores are manufactured abroad in Asian countries like China and India. It's also a proven fact that you can usually get a better deal by going direct and 'cutting out the middle man', which is kind of what we're doing here by ordering directly from a company based in Asia where goods are cheaper and we can avoid the usual UK price markup. The items didn't actually take that long to arrive (about 3 weeks) which isn't too bad considering that they came such a long way. Many of the items sold on DressLily are dispatched within 24 hours of purchase which probably helps to speed up the overall delivery time. Perhaps most importantly, everything arrived in good condition and nothing was broken. It was actually quite expertly packaged and everything fitted into small but sturdy parcel which was delivered by Royal Mail. I think my favorite item is probably the watch as it has a gorgeous pattern cut into the glass watch face which really catches the light and it has been keeping accurate time so far with the battery that was included with it. The scarf is also another favorite as the design is beautiful and it feels really nice and soft. It's such a versatile item that can be worn in a lot of different ways plus it's one for all seasons! All of the fashion jewellery pieces are perfect for accessorizing everyday outfits to 'jazz them up' a bit. I chose quite simple and elegant pieces but there were a lot of different styles to choose from. Based on my experience, I did notice two small points that DressLily could improve upon. 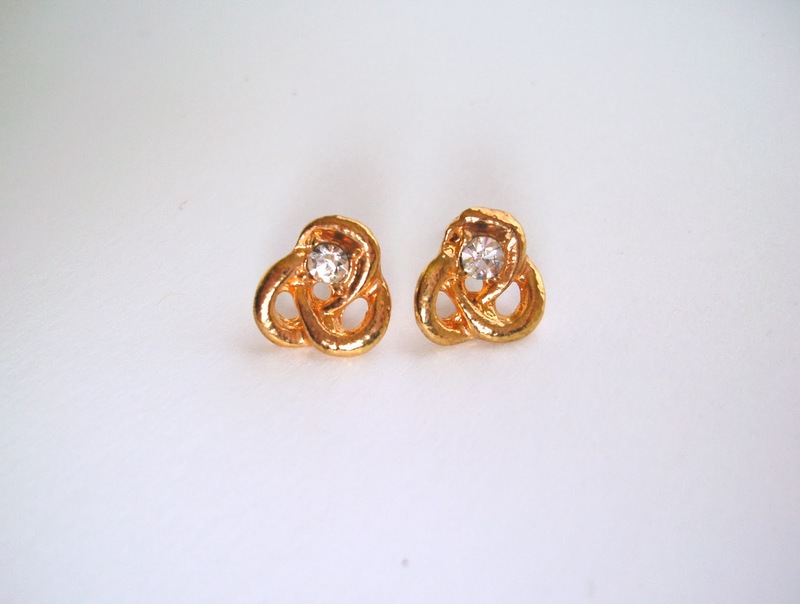 Firstly, some of the earrings had their little backs or 'stoppers' missing. However, these are easy to replace with inexpensive soft plastic backs and at the moment, I'm simply borrowing backs from my other earrings! Secondly, the belt smelt a little 'musty' when it first arrived as the package may have been subjected to humid conditions during shipping so it could have benefited from a silica gel sachet or something like that to keep everything fresh. However, after being aired off a little, the belt now smells fine. 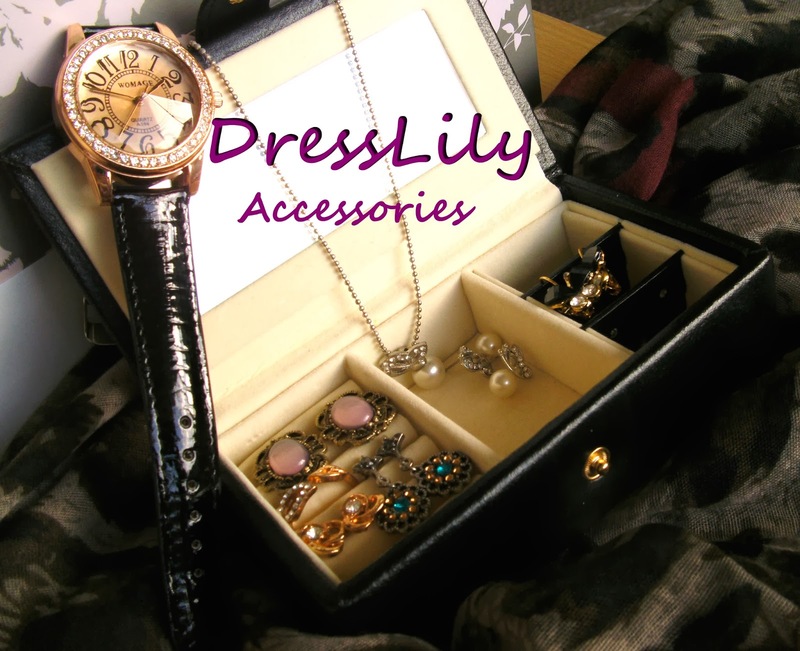 I've really enjoyed discovering DressLily and I think that they are a reputable and inexpensive fashion retailer that's definitely worth checking out if your on the hunt for a few nice girly bargains all conveniently situated in one cute little online web store! Where do you like to shop for fashion accessories?